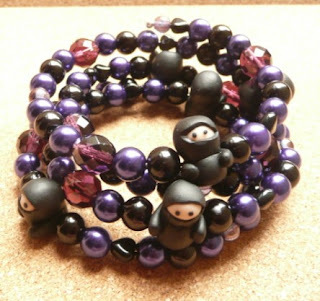 Just wanted to pop in to share this bracelet made by one of my customers, whoopidoo, from some of my ninja beads. That is sooo cool! I want one. I am so jealous! That's awesome. I love those bead colour combination and especially the toys centered in it. Very creative work and congrates to your customers. https://www.yousendit.com/transfer.php?action=batch_download&send_id=817789614&email=7cff47bb7cdcb76fbfa15e66c81a1961Happy that i found this blog and keep on sharing more interesting stuffs. this weekend... ...was wonderful, exhausting, emotional, happy, sad, a nostalgic experience surrounded by incredible and much missed friends. It was the final shows of these boys, good friends, old housemates, step brother and ex-boyfriend. They were amazing and will no doubt be missed greatly.